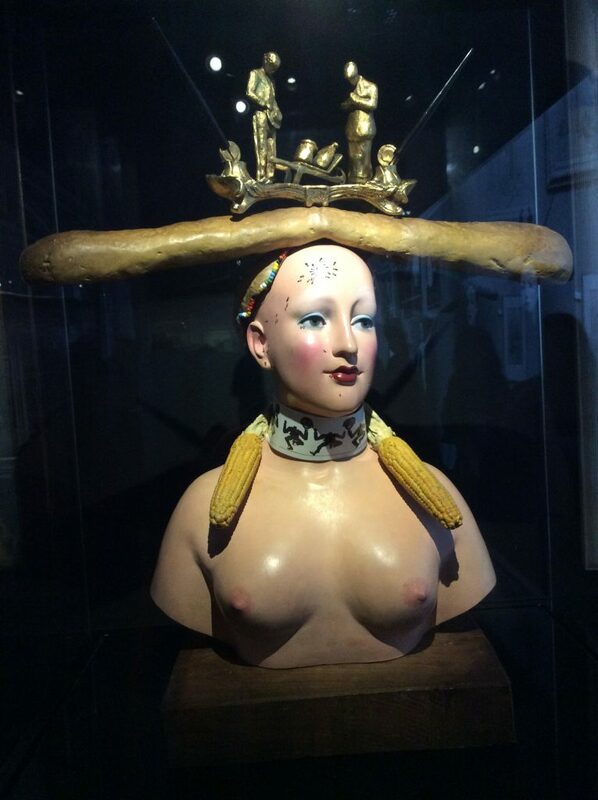 Well, after all TheEye‘s moaning and groaning, Paris was a tonic. 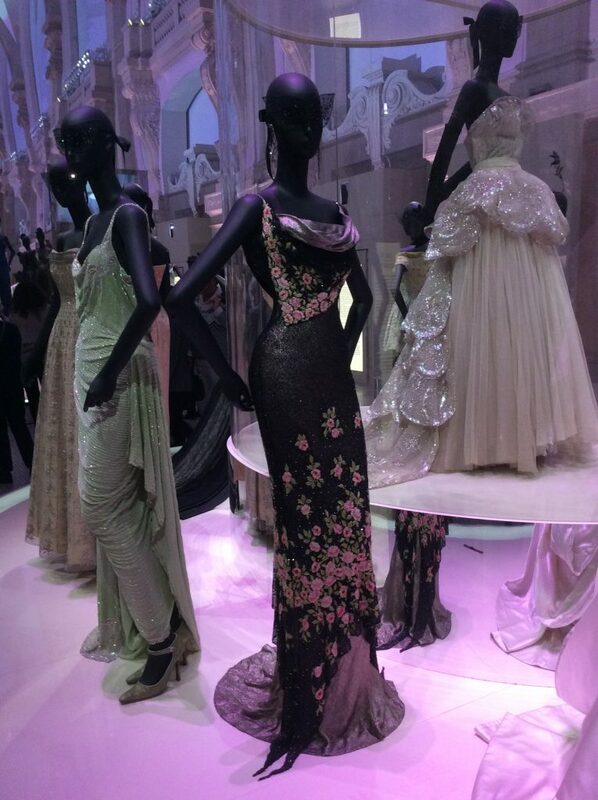 The highlight was Christian Dior Celebrating 70 years of Haute Couture at The Musée Des Arts Décoratifs. A much-lauded blockbuster which will help line the coffers of this wonderful museum and support many exhibitions to come. 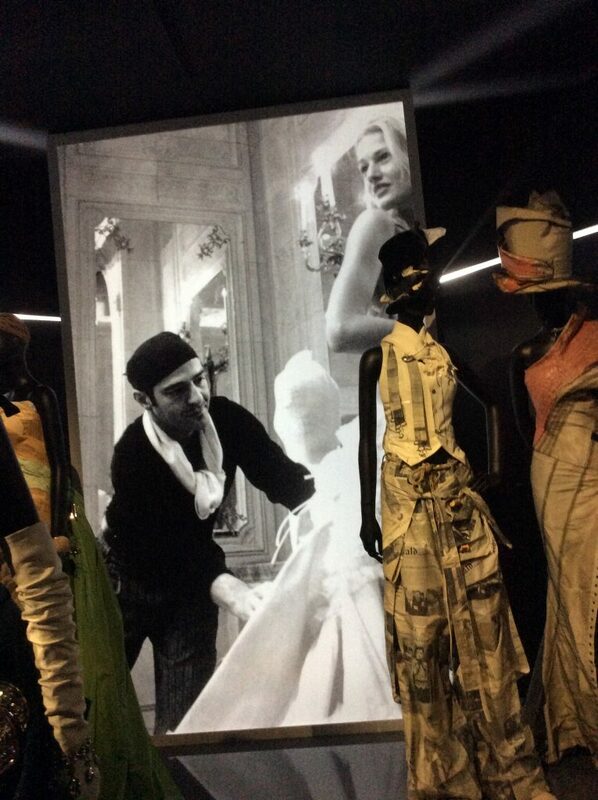 Curated by Olivier Gabet and Florence Muller from the House of Dior rather than the museum’s own fashion curators. 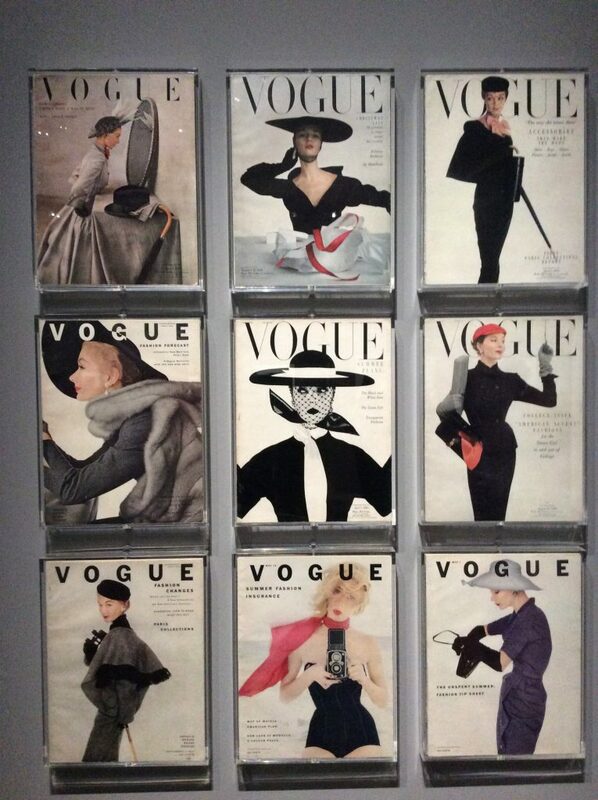 It’s not easy for someone who isn’t a fashion journalist to accurately sum up this overwhelming exhibition which filled the galleries of the museum on both sides of the building. There was a huge amount to see and absorb and, in TheEye‘s opinion, it would have benefitted from more rigorous editing. Just too much and packed with people jostling to squeeze through a gap in the crowd, to be in the front of the displays. Somewhat of a ‘first day of the Harrods sale’ experience. 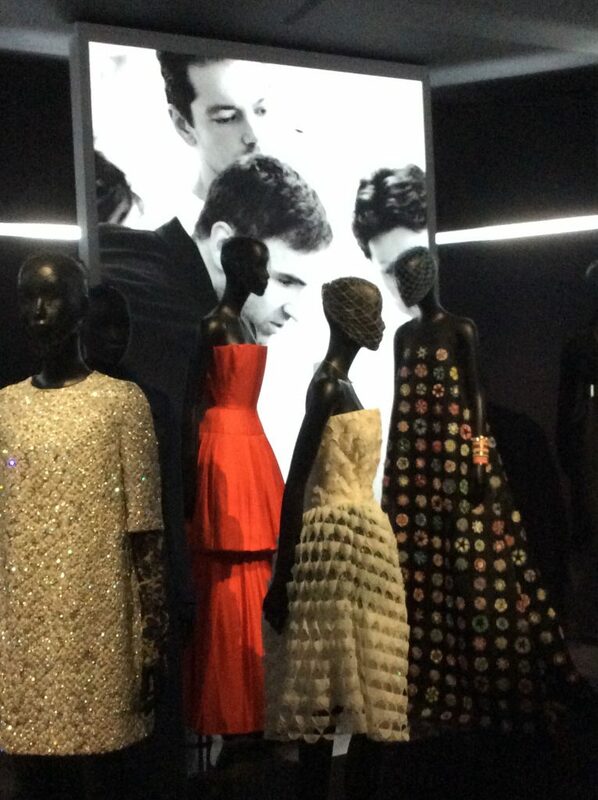 This was not a solo Christian Dior retrospective (1987 was the last). It focused on the ‘Spirit of Dior‘ commencing with ten years when Dior was at the helm aged 35 until his untimely death, at 53. In 1928, with financial support from his father – a successful fertilizer company proprietor – Dior opened a small art gallery with Jacques Bonjean exhibiting work by the ‘young’ painters they admired – Picasso, Matisse, Dali, Giacometti, Cocteau and others. The Wall Street crash of 1929 brought an end to his prosperity and the gallery closed and he also sold most of his private collection. Art in the broadest sense inspired his designs, a legacy which continued with the succeeding artistic directors of the House of Dior. 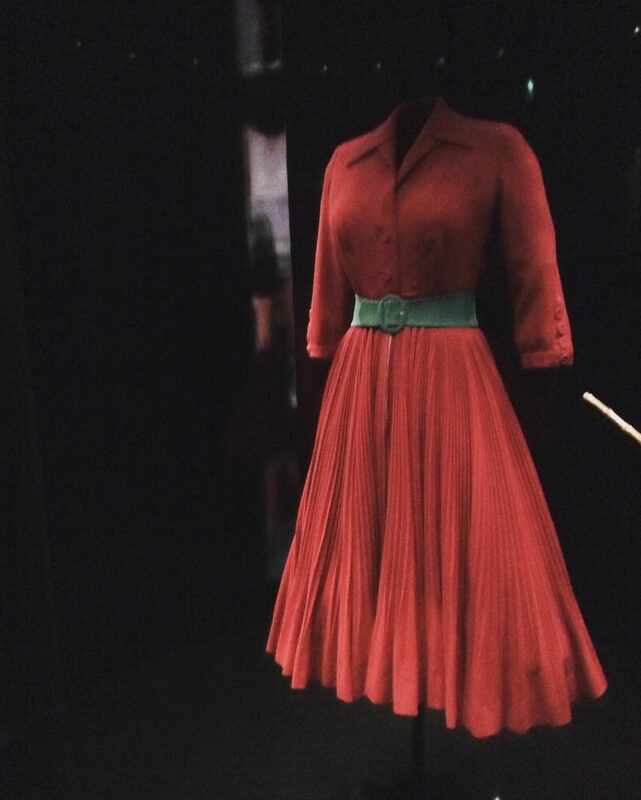 What is perplexing is how this short career succeeded in establishing the influential House Of Dior which continues to expand (perfume, jewellery, accessories) and is a globally recognised brand so long after his death. 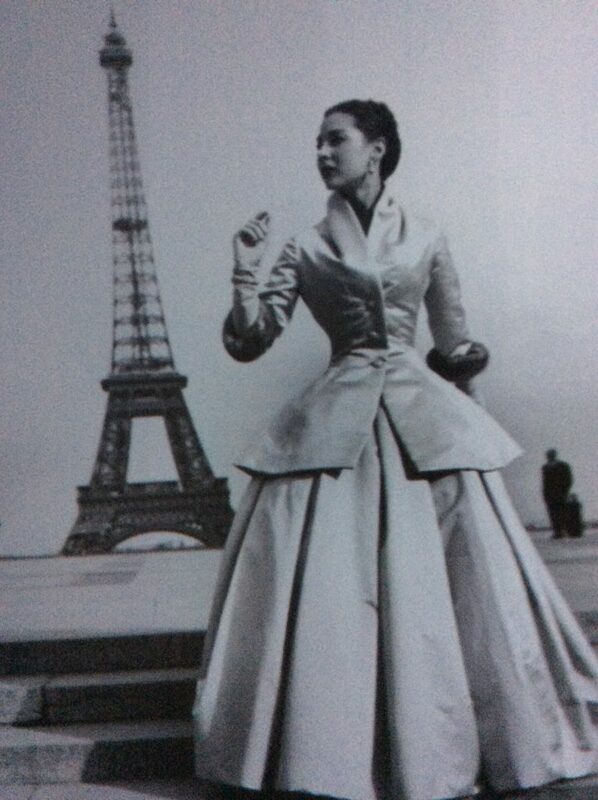 Dior’s most famous claim to significance in the fashion world was The New Look, which he launched on February 12th, 1947. 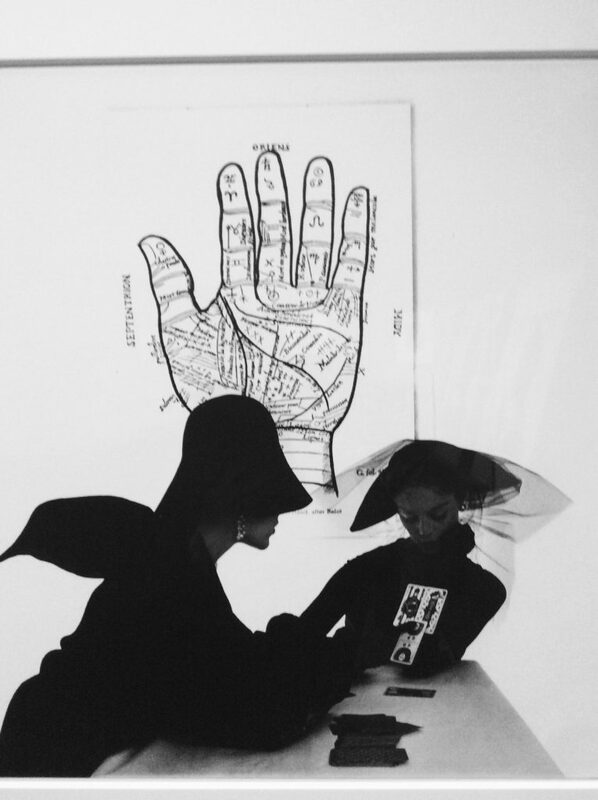 Totally unknown to the public, he presented then his first haute couture collection at his salon on Avenue Montaigne. The show was a stunning success and Carmel Snow, editor of the prestigious Harper’s Bazaar magazine, declared, ‘It’s quite a revolution dear Christian, your dresses have such a new look’. The style revolutionised women’s fashion. 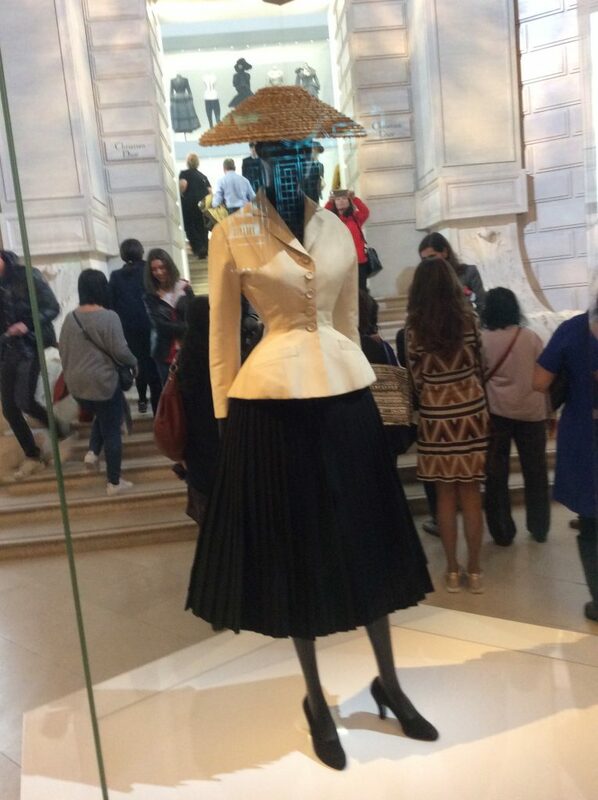 Dior’s explanation was ‘We are emerging from a period of war, of uniforms, or women soldiers built like boxers. I drew women-flowers, soft shoulders, full busts, waists as slender as lianas, and skirts as wide as corollas’. 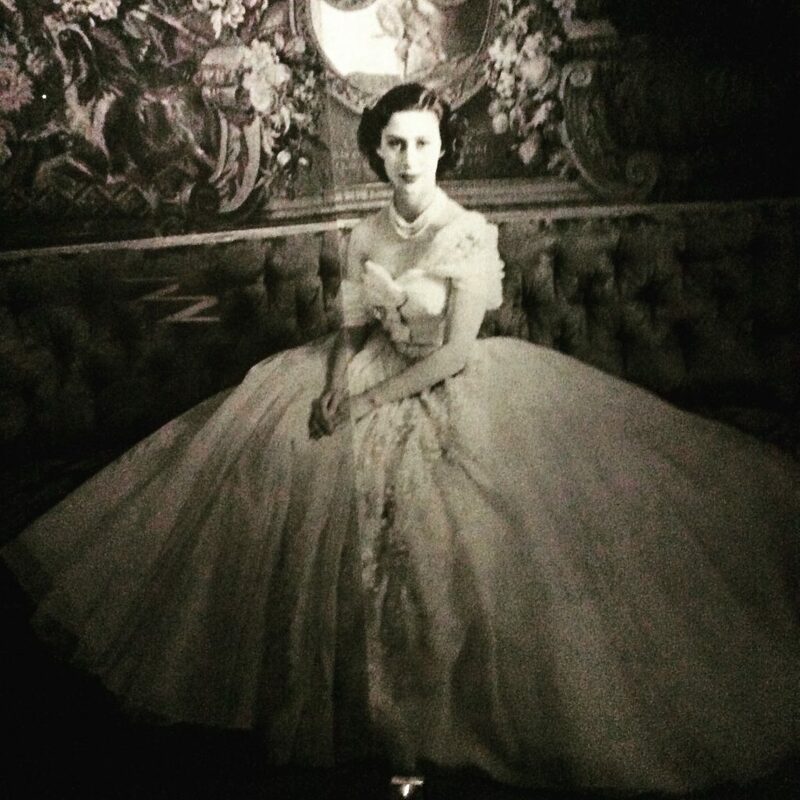 In Dior’s opinion, ‘Haute Couture dresses have the unique and unexpected quality of a work of art. They are among the last things to be made by hand, by the human hand whose value is irreplaceable for it gives everything it makes what no machine can bring: poetry and life’. 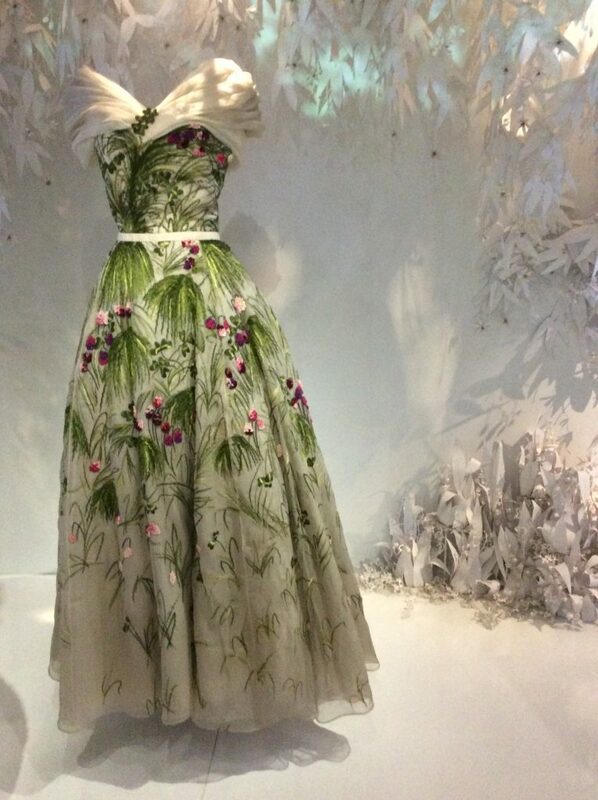 Inspired by his mother, Madeline’s love of flowers and gardens, Christian Dior was obsessed. The catalogues of Vilmorin-Andrieux became his favourite reading material with detailed descriptions and colour illustrations of flowers. Flowers, particularly his favourite Lily of the Valley, were a strong influence in his gorgeous garments and also fragrances. 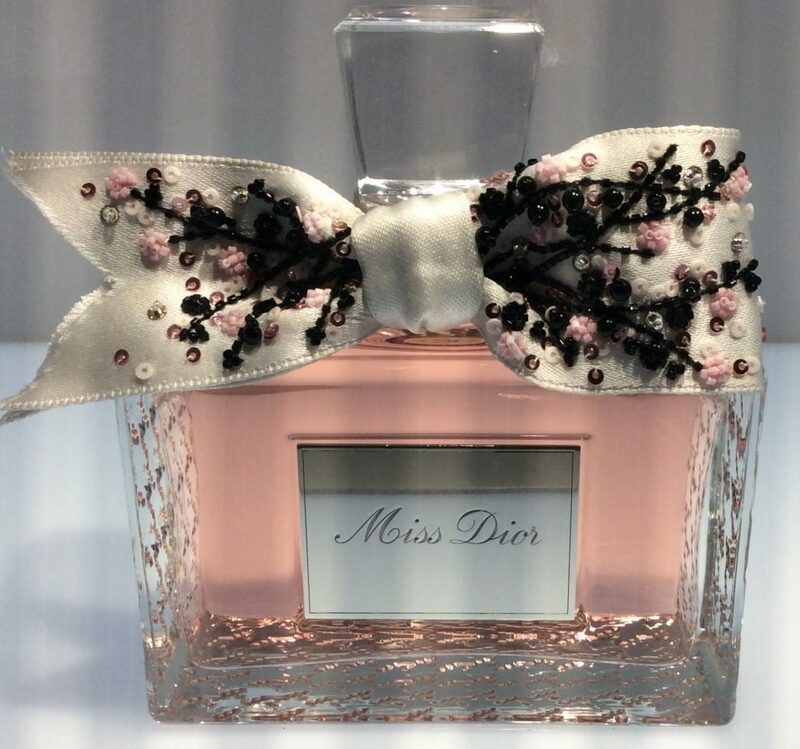 The iconic perfume, Miss Dior, was named in honour of his sister, Catherine, the only member of his family he remained close to after the death of his parents. Catherine had been a resistance worker in World War II. ‘The seasons impose their rhythm on nature. 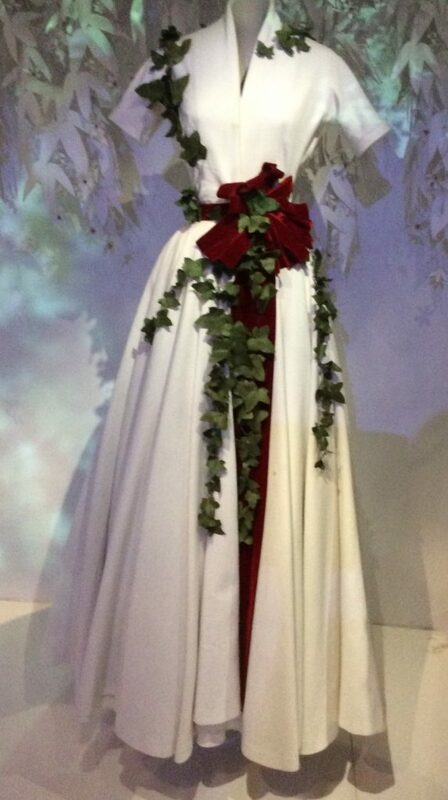 New dresses must bloom as naturally as blossoms on apple trees‘. 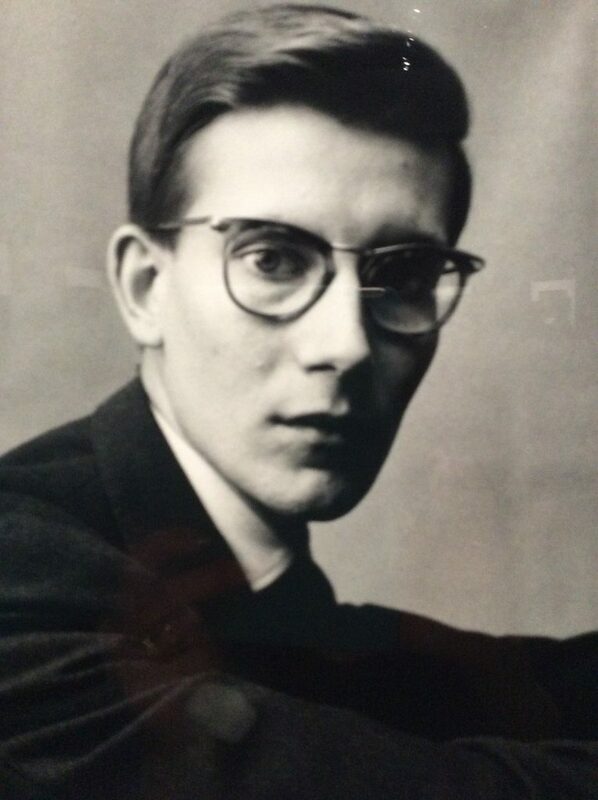 Following his death in 1957, Yves Saint Laurent was made artistic director and there have been six directors of the fashion house to date – Marc Boham (1960 – 1989), Gianfranco Ferre (1989 – 1996), John Galliano (1996 – 2011), Raf Simons (2012 – 2015) and in 2016 Maria Grazia Chiuri was appointed and presented her first collection followed by a ball in the garden of the Musée Rodin in 2017. 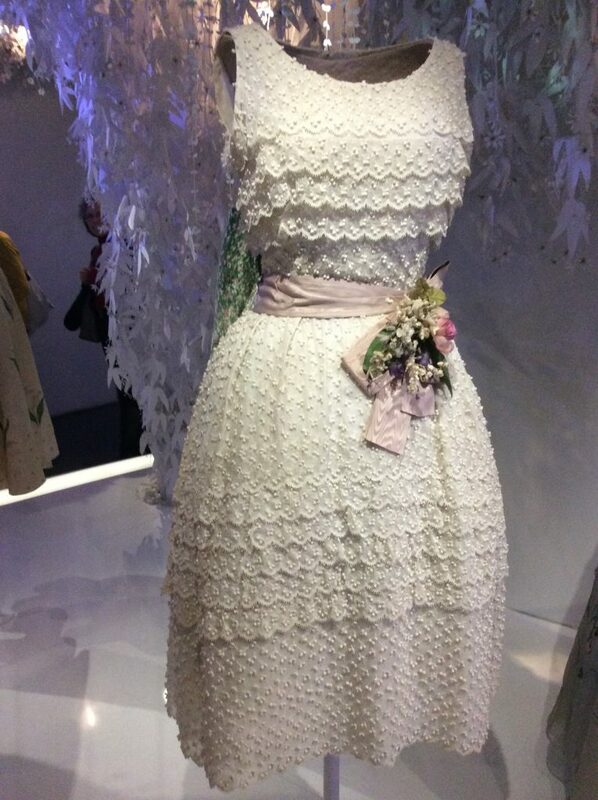 A memorable show, a unique experience to see the breadth and influence of Christian Dior – but too much. The clothes, the inspirations, the perfume, accessories, makeup, packaging, and more. 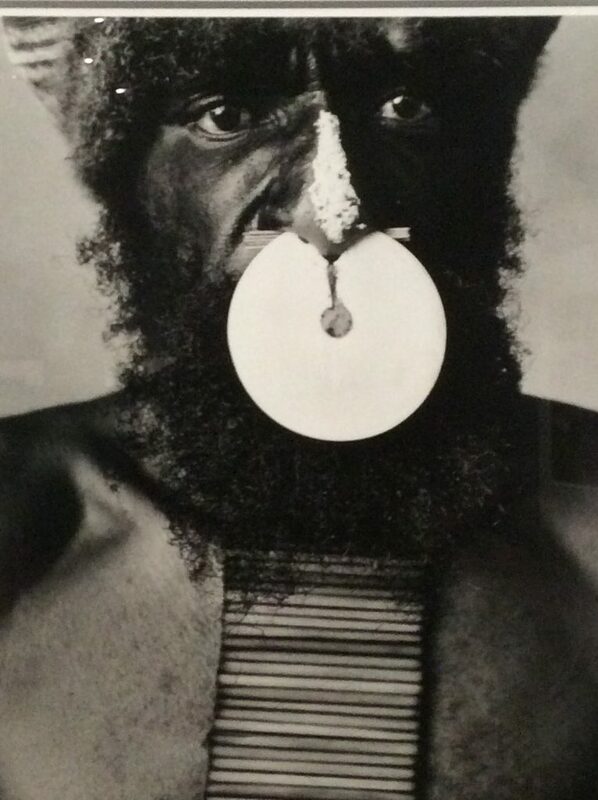 With more disciplined editing by museum curators, this would have been less commercial, and (for TheEye, but clearly, not others) a more successful show. 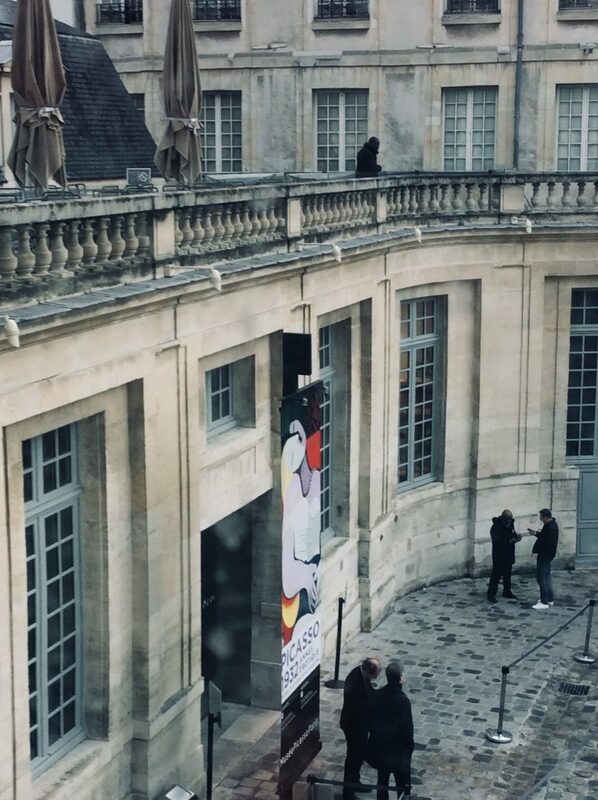 Was it by chance or was it planned for the two exhibitions to be showing at the same time in Paris? 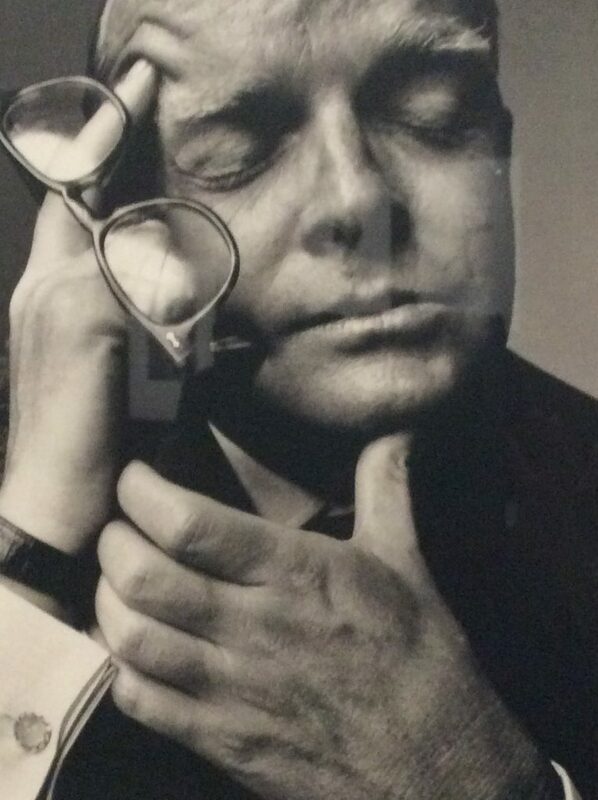 Irving Penn made his name as a photographer in Vogue in 1943 where he was was the protegé of the famous art director, Alexander Lieberman. Working in an old building with no electricity or water suited Penn. 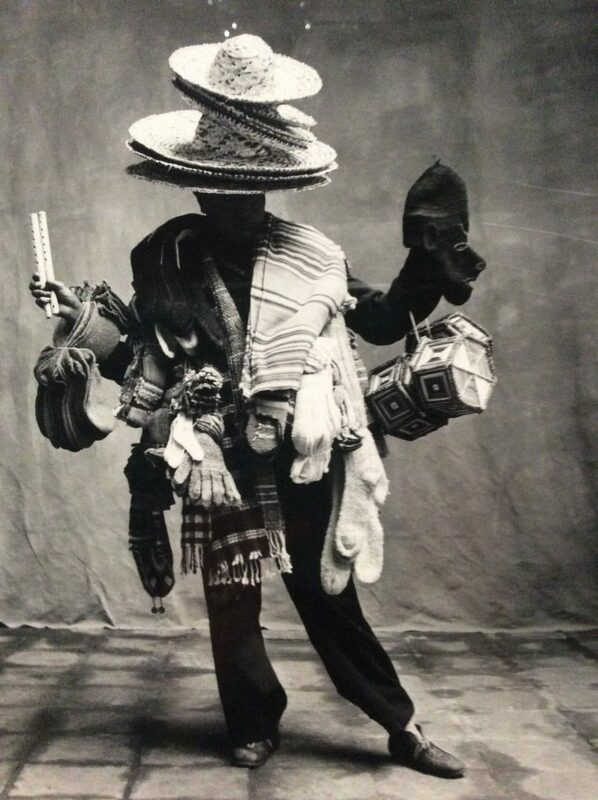 He was no ordinary ‘fashion’ photographer, and travelled and did superb work around the globe, living his dream, travelling for Vogue to the Pacific and Africa, using tents as makeshift studios. His ‘small trades’ project in London and New York was the largest single series in his career. Penn was before his time in everything – nudes, still life compositions, portraits. 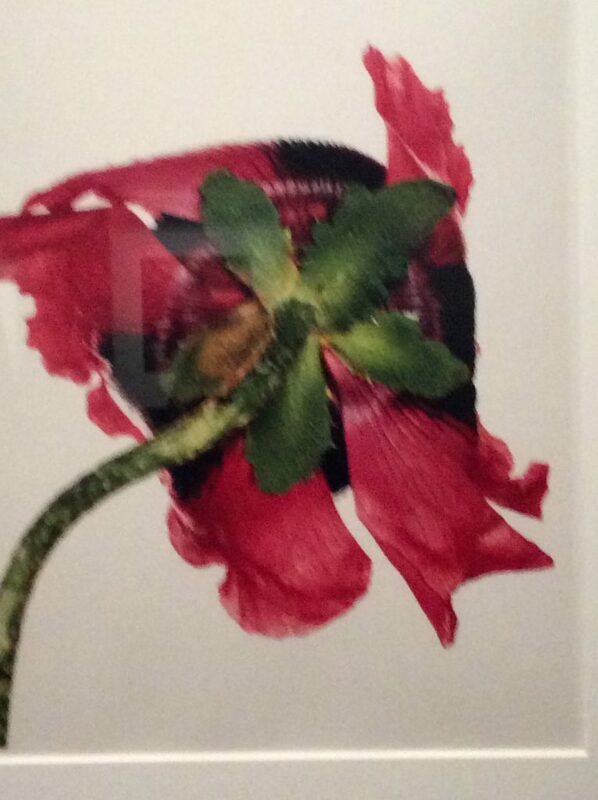 TheEye loved this intelligent, in-depth exhibition of a photographer she so admires. An extraordinary photographer famous for his audacious nudes, photographs of cigarette butts found in the street, and perceptive portraits. 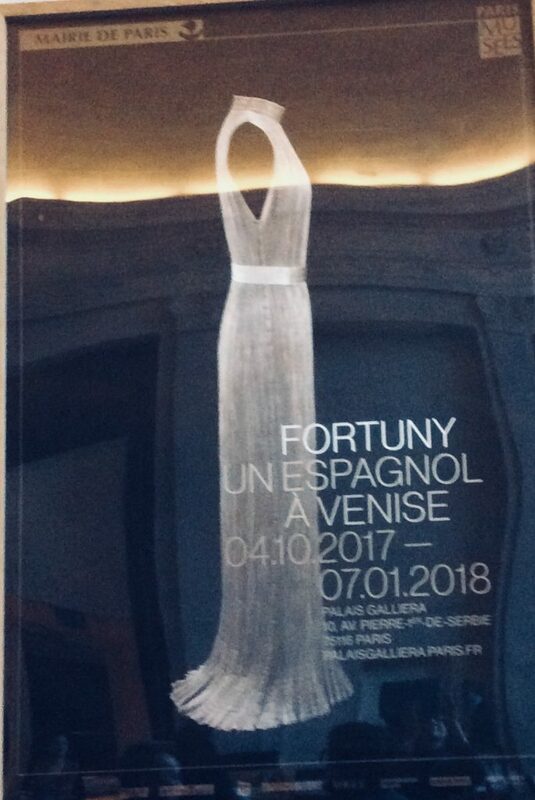 A superb exhibition of Mariano Fortuny, the couturier who revolutionised fashion freeing the female body inspired by Grecian periods according to the museum director, Olivier Saillard. An informative intelligently displayed exhibition that allows visitors to properly see the incredible fabrics, the quality and beauty of the clothes, the body flattering drapes and folds and the artistic, high society women that wore them. The influence of Fortuny is still around, still wearable and desirable as evident with the numerous designers – Givenchy, Miyake and many more. Clothes that are timeless, artistic and a joy to wear. What a pleasure and no fighting or jostling to see. 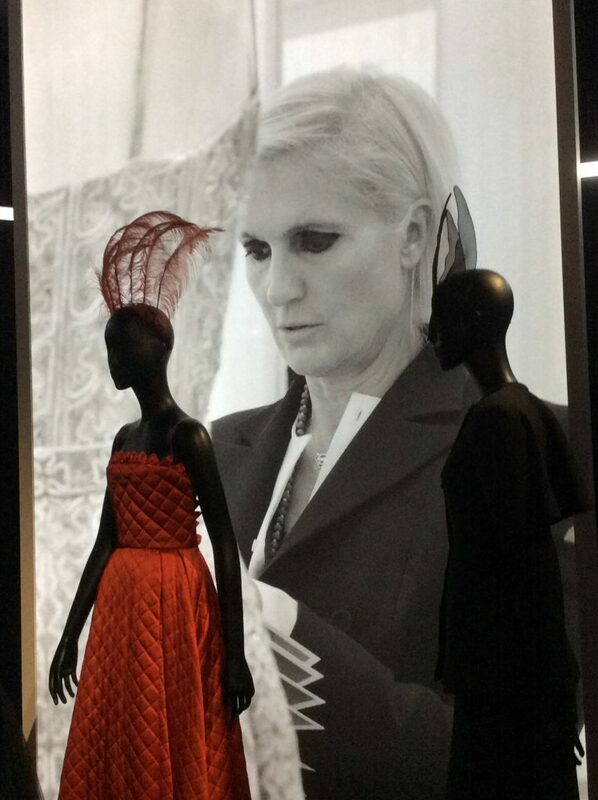 Fortuny isn’t a trophy exhibition, but for people with a genuine interest and love of fashion. 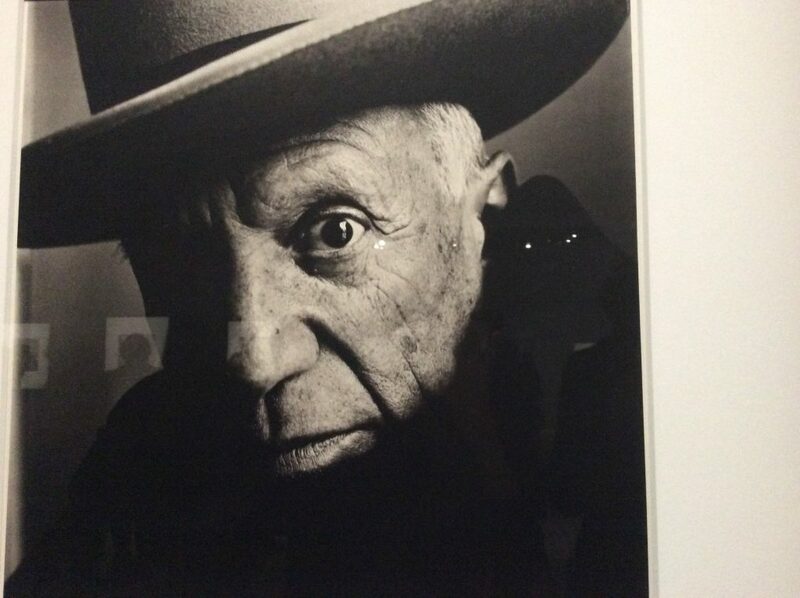 After such a rich ‘fashion feast’, it was good to see the imaginatively curated PICASSO exhibition. “1932′ focused on one year in the life of this famous, prolific genius. 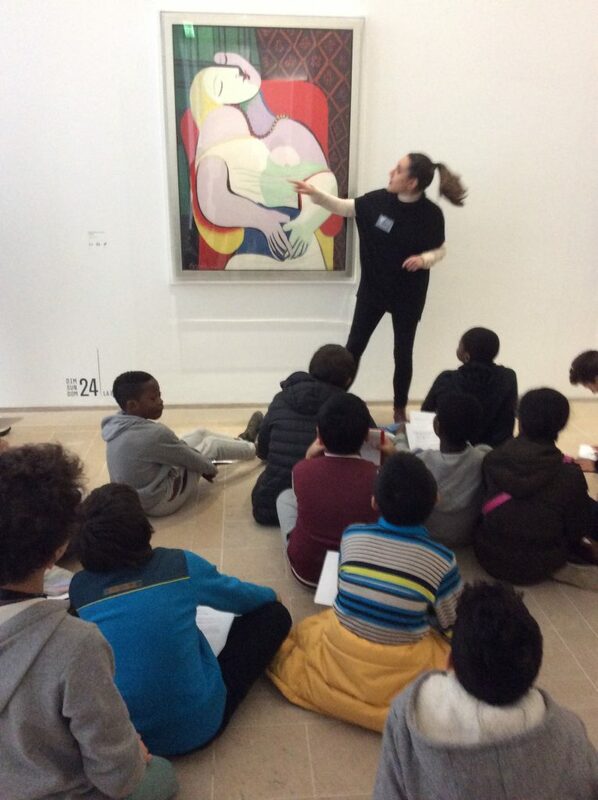 According to Picasso ‘Painting is just another way of keeping a diary’. Incredible to believe the amount of work Picasso made in one year – 1932. He was a compulsive hoarder, and in addition to the numerous paintings, sketches and sculptures, there are hotel and restaurant bills, cinema and train tickets. Clearly, nothing was ever thrown away. A great couple of days. 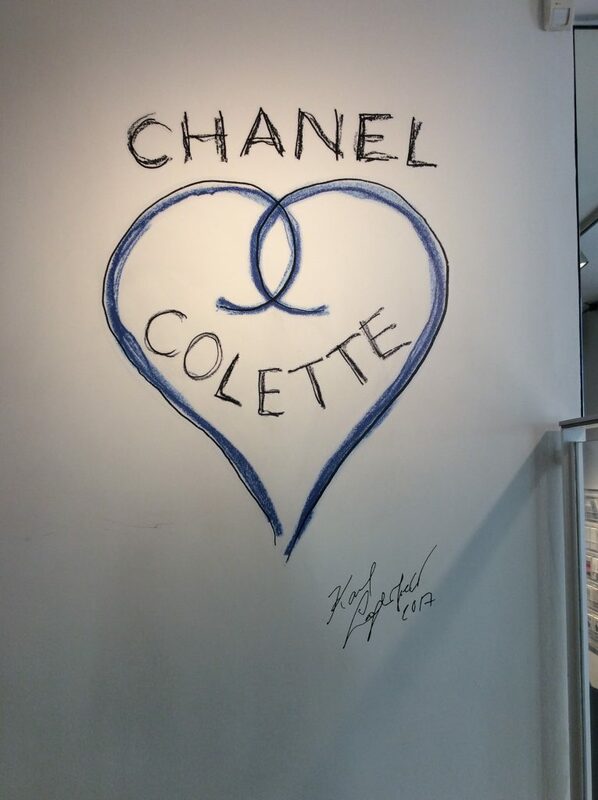 Adieu to Paris and also to Colette, the iconic store on the rue Saint-Honoré much loved by young Japanese fashionistas who thronged there to buy their (non-)essentials. Maybe too many buying small gadgetry and not enough buying the eye-watering expensive designer clothes. Where will they migrate to now? 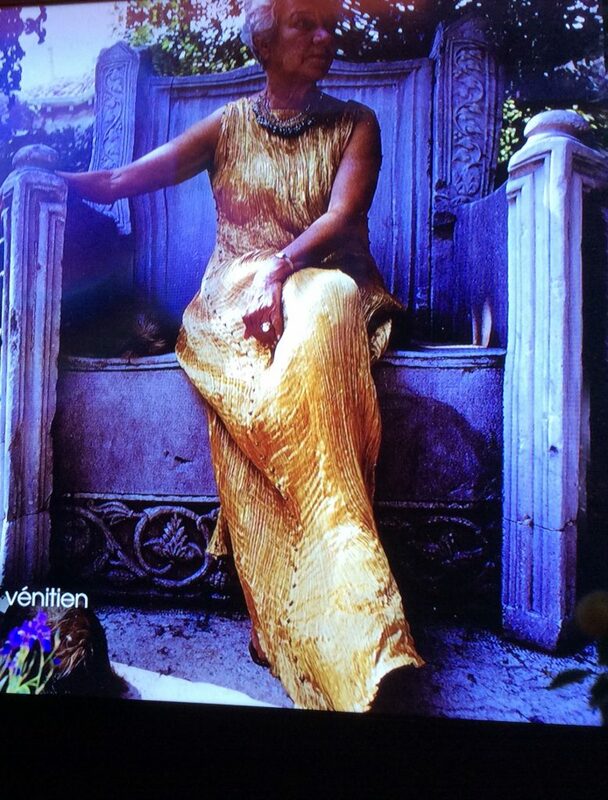 Colette, you will be missed. Great Janice!! Loved everything about this update.